Burn Stewart Distillers’ former master blender Ian Macmillan has joined the Bladnoch Distillery as master distiller, heading efforts to restart production at the historic site. 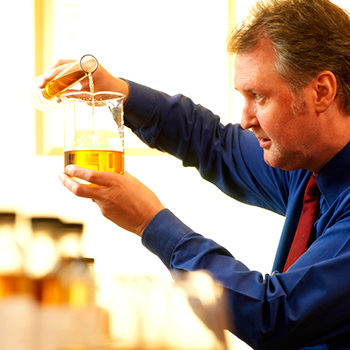 Macmillan, who was also head of distilleries for Burn Stewart and has worked in the Scotch whisky industry for 40 years, will officially join the distillery in October 2015. It was revealed last month that the 200-year-old Bladnoch Distillery was set to restart production after lying dormant for six years. The site was acquired by Australian businessman David Prior, who later hired Gavin Hewitt, former chief executive of the Scotch Whisky Association (SWA), as non-executive director. In March last year, Bladnoch closed until further notice after its parent company, Northern Ireland-based Co-ordinated Development Services, went into liquidation. It had not produced whisky for six years previous. “I am very excited to be joining Bladnoch and eager to get started,” said Macmillan. “I look forward to meeting the challenges of getting Bladnoch back into production. Bladnoch Distillery was first established in 1817 and is situated on the banks of the River Bladnoch. It is thought to be Scotland’s most southerly distillery.